Hard Drive Recovery Tool 3.3.1 - Download Win Apps. 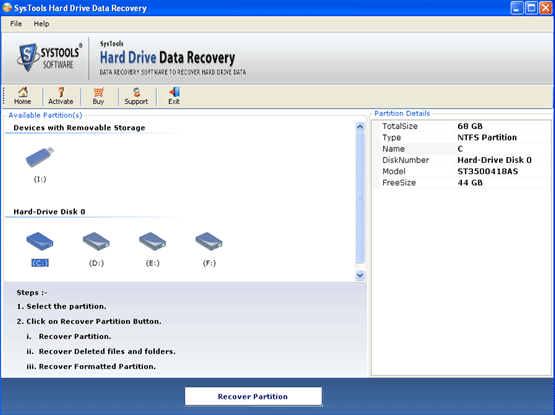 Recover Windows hard drive data with best hard drive recovery tool. Hard drive recovery tool is a perfect file recovery Windows program which help you to recover Windows hard drive data as well as recover Windows files from corrupted, formatted, missing, deleted or inaccessible Windows hard disk drives. Get the 20% discount of christmas and new year celebration today now! Trustworthy it is the most excellent external hard drive recovery software to restore external hard drive data after accidental deletion, corruption on hard drive due to bad sector, virus attack & etc.